Below is a list of our venues with addresses, parking information (when appropriate) and directions. All venues are handicap accessible, and have on site free parking lots, unless otherwise noted. For additional questions please contact us at 303-298-1970. Saint John’s Cathedral has a small parking lot located on Washington Street. 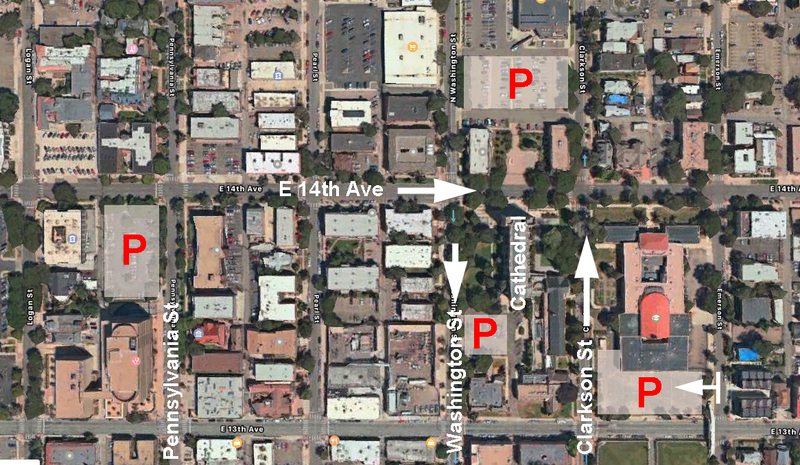 Additional parking for concert nights can be found along the side streets, or at Morey Middle School off of Clarkson Street and 13th Ave. Parking is available and free on the side streets surrounding the church both on Sundays (all day) and Monday-Saturday after 6pm.